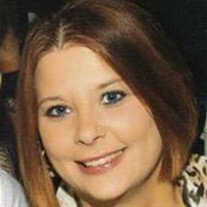 Ms. Angela Castlen Carney, age 42, of Lake Butler, Florida, passed away on November 26, 2018 at UF Health Shands in Gainesville, Florida, after suffering injuries from an automobile accident. She was born on November 2, 1976, in Gainesville, FL, to the late Patrick and Ann Castlen. She lived in the Lake Butler, FL, area her whole life. She loved to ride horses, especially barrel racing. She loved hopping in the truck and riding and listening to old country music. Angela worked with her husband, Jon, in the flooring business. She was a loving mother and wife and will be deeply missed. She was preceded in death by her parents, Patrick and Ann Castlen; brother, Chris Childree. Ms. Carney is survived by her husband, Jon Carney of Lake Butler, FL; her son, Cody Lane Castlen of Trenton, FL; step daughter, Justice Nicole Ann Carney, of Indiana; sisters, Patricia Castlen of Gainesville, FL, and Katrina (Sean) Crawford of Lake City, FL; brothers, Edward (Jackie) Castlen of Jacksonville, FL and Bill (Jessica) Castlen of Lake Butler, FL; step brother, David Knowles of Lake Butler, FL; step sister, Dana (Doug) Bair of Lake Butler, FL; numerous aunts, uncles, nieces, and nephews also survive.